John Stanley Plaskett was born in 1865 on a farm in Hickson, Ontario. His Father died when he was about 16, and as the eldest child of a large family, he spent the next five years working on the family farm. He began working at the Edison Company (which later become General Electric) in 1886 where he gained experience in mechanics and electricity. 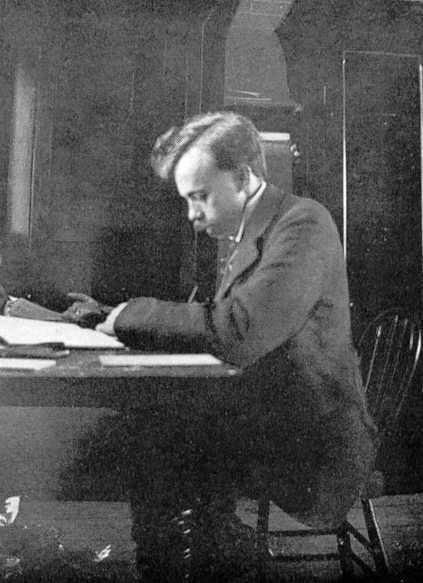 In 1890, Plaskett was hired as foreman of the physics workshop at the University of Toronto. He also worked as an assistant in courses given by Charles Augustus Chant, which helped foster his growing interest in science. Determined to obtain a university education, he enrolled in the bachelor’s program in 1895 and earned his diploma four years later in 1899 at the age of 33. Plaskett received four honorary doctoral degrees from Canadian and American universities during his career. After obtaining his bachelor’s degree, Plaskett taught as a lecturer in the physics department at the University of Toronto. He conducted several experiments in photography during this time and became highly accomplished in the field. His photography skills would prove to be a real asset to his work in astronomy. 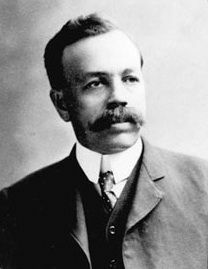 In 1903, William Frederick King hired him as part of the Astronomy Division of the Department of the Interior to help design and construct instruments for the new Dominion Observatory in Ottawa. Plaskett became an invaluable addition to the team thanks to his experience in electricity, mechanics and photography. 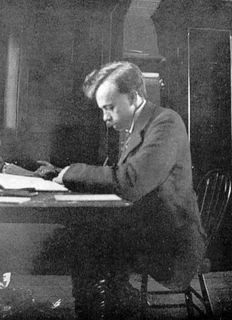 Plaskett made his first real foray into astronomy in 1905 at the age of 39. William Frederick King assigned him the responsibility of astrophysical work at the Dominion Observatory. During his first research project, he was responsible for studying a total eclipse of the Sun that would be visible from Labrador. Despite a cloudy sky that prevented him from observing the eclipse, Plaskett impressed his colleagues by the care with which he prepared for his observations and wrote his scientific report. In 1907, after working for two years on a new spectroscope of his own design, Plaskett attached it to the telescope of the Dominion Observatory. He mainly used it to measure the radial velocities of stars (the speed at which the star is moving away or toward the observer), and managed to collect several thousand spectrograms over the following years. It quickly became evident, however, that the observatory’s 38-centimetre telescope was not efficient enough for the purpose. In 1910, Plaskett proposed to William Frederick King that a new giant telescope be constructed. King was enthusiastic about the idea and the two astronomers began pressuring the Canadian Government to make it a reality. 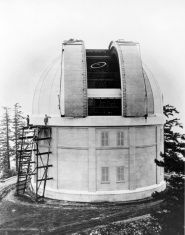 In 1913, Parliament freed up funds and Plaskett worked for the next five years on the design of a 1.83-metre telescope – the biggest in the world – for the new Dominion Astrophysical Observatory to be built in Victoria, British Columbia. The new observatory was inaugurated in 1918. Plaskett became its first Director and for several months it housed the largest operating telescope in the world. Plaskett continued his work on the radial velocities of stars. In 1922, he discovered a binary star and the larger of the two still holds the record as the most massive known binary star; it is known today as “Plaskett’s Star”. Between 1928 and 1935, Plaskett published a series of articles with Joseph Algernon Pearce on the radial velocities of stars and confirmed that our galaxy, the Milky Way, rotates. In fact, he was the first to measure the size, mass and rotational speed of the Milky Way. He also established that the Sun is located at 2/3 of the distance from the centre of our galaxy, and that our solar system takes approximately 220 million years to complete one galaxial rotation. He took his retirement in 1935 and died in 1941 in Esquimalt, British Columbia at the age of 75. Plaskett received numerous national and international awards for his work. In addition, asteroid 2905 is named in his honour and that of his son, also an astronomer. In 1988, the Royal Astronomical Society of Canada and the Canadian Astronomical Society created the Plaskett Medal, awarded each year to the author of the best doctoral thesis in astronomy or astrophysics at a Canadian university.